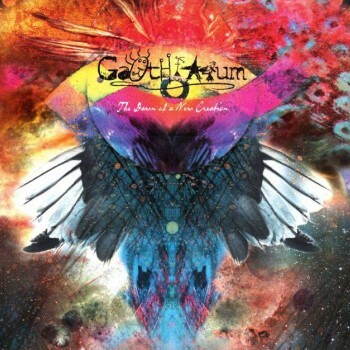 First album "The Dawn of a New Creation" of spanish avant-garde project Garth Arum out on 24.06.2013 as CD! Garth Arum is a personal project of a whole lifetime. All songs were created by Oscar "Nightmarer" Martin in the late 90s. As the tenth anniversary approached, this project had been recovered to finally record and release these old compositions. Why? Especially because of this inner feeling of fulfilling dreams and the need of completing those old projects in which a lot of effort and many aspirations were invested in the past. After the "The Fireflowers Tale" demo and 3 years of hard work that followed, the first full-length "The Dawn of a New Creation" is finally here. It is only the first of many albums to come. Nightmarer (from band As Light Dies) is the main composer, producer and performer of almost every instrument: guitar, fretless bass, synths, drum programming and keyboards. In addition, he handles all the singing duties except for some great contributions in some songs that were performed by: Slo (from Smohalla), Camille Giraudeau (Stagnant Waters), Lady Carrot (Aegri Somnia) and Cecilia Tallo (On3ric4). All the music of Garth Arum is inspired by dreams and fairy tales, it is nothing but a deep voyage towards one's inner self, venturing further into the human psyche. The songs were highly influenced by the music which bloomed in the 90s, be it new age, atmospheric black metal, avant-garde, death metal or even symphonic rock. It is a really personal music style which may not relate to any specific band. It is however a particular view of music through the eyes and heart of its creators.